I agree completely with Bari's. Naval interception order is a problem. It not only makes interception too easy, but it works even with fleets on defensive posture, something I think is a bug. I will recomend a house rule to not use it or at least use it only with fleets in offensive posture. Regards! Topic: Caesar vs. Pompey: Winning strategy - Spain or the East? Re: Caesar vs. Pompey: Winning strategy - Spain or the East? don't have nothing worthy to recruit with it. I think going to Spain is better. Topic: TEAW or WOS ? Re: TEAW or WOS ? It's Birth if America 2. The full name was Birth of America 2: Wars in America if I recall correctly. Wars in America 2 is probably my favourite AGEOD game. Lots of scenarios, not too many units, great art and excellent playability and feeling. Rise of Prussia is great too. Topic: CTRL showing nb of men ? You should see a special icon beside the capital cities name on the map. It's just scenarios. No new mechanics. 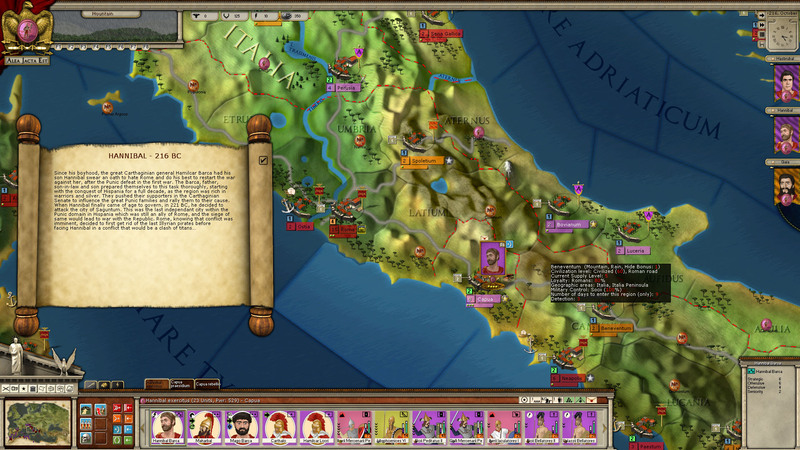 But some of the scenarios are huge in scope (like second Punic war) or in length like first Punic war. I'm sure they are on sale frequently like most steam games. In order of preference I like Hannibal, Parthian Wars and Rise of Rome. But all are nice. Topic: Seven Year War & American War of Independence novels? Re: Seven Year War & American War of Independence novels? Topic: Actual city supply and province loyalty again. Re: Actual city supply and province loyalty again. Are you sure there is no friends nearby provinces using the same supply?